Seriously? As a high school and college kid, music was my life. Well, music and girls, but that was college. Girls wouldn't give me the time of day in high school. That's another story for another time, but what marked my days as an adolescent, besides the acne, was music. A combination of hip hop, grunge, punk and alternative music weaved a tapestry of sorts, a kind of soundtrack to my life back then. 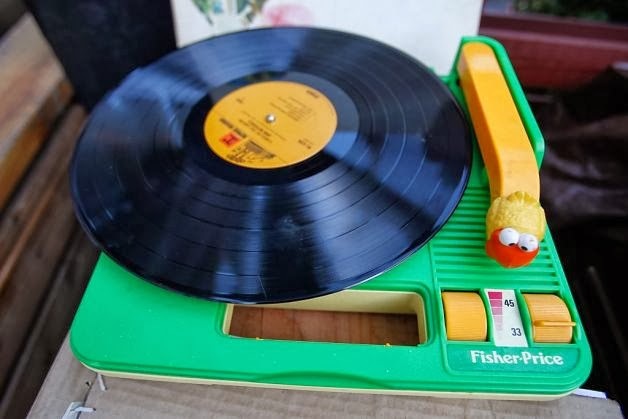 These were the days of the mix tape after all. And then later the compact disc. Music and it seemed good music was ubiquitous then. Discovery of not only what was new, but what came before you. Stumbling upon Nirvana in 11th grade, and then being exposed to the greatness that was Led Zeppelin. And hip-hop, so much good hip hop. From the Beastie Boys, to De La Soul, to Nas, A Tribe Called Quest, The Roots; on and on it went. Going to see "shows" was just a regular routine, whether it was Pharcyde, Wu Tang Clan, The Rollins Band, Fishbone or Rancid. It was just what I did. High school turned to college, where I was a radio dj and had endless access to new music. That turned to graduate school and then it was time to get a job. Eventually I landed in Seattle and the I was able to continue going to shows, even in my advanced age, of my mid-20s. I discovered bands like Thursday and The Shins, The Blue Scholars, Common Market, Death Cab and Feist. (I went to see Feist at the Showbox, she opened for the Brunettes and she was so unknown that I actually bought the cd at her merch-table from her.) At some point though, it seemed to stop. Maybe I just got old? These days I don't really discover much in the way of "what's fresh on the scene." If I do, it's almost solely the responsibility of John Richards over at KEXP. I like that he has an h in his name. Seems like much good music, Johns with an h are fleeting. It's comforting. But anyways, I digress. Over the years it seems I'm drawn back to those bands I discovered in highschool, and in college. Lucky for me, some of those bands, and thankfully favorites like The Afghan Whigs and the Pixies have gotten back together and are releasing new music and touring. This creates a new quandary. As a guy in his late 30s with a toddler, I tire early. I enjoy going to see these favorite bands of mine, but I could really use a nap before, or maybe a couch to sit on during the show. The musicians themselves are older, sober now too and sometimes the shows even have an earlier start time. I suppose this is just part of getting old, all of us. 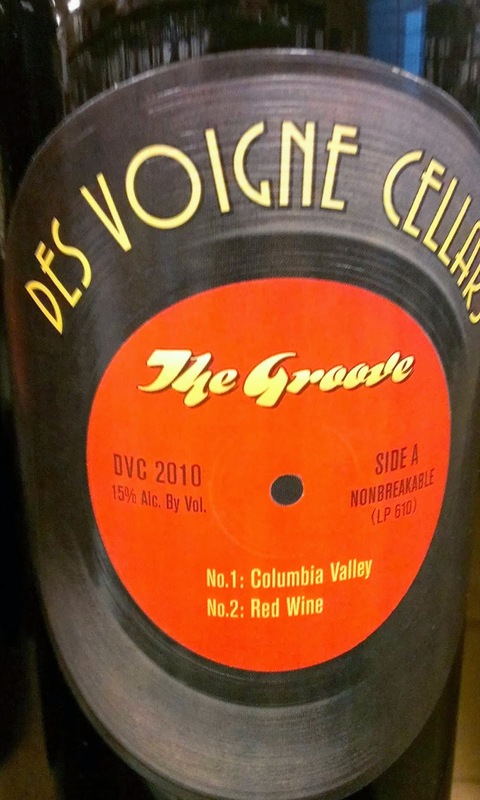 Today's Friday Find is from Des Voigne Cellars, the label with a musical bent. When it comes to label art, this Woodinville Winery does some of the best in Washington. Many of them homages to great Jazz musicians. (Interesting side note, the main photo on their webpage was taken by me. I just discovered this.) The wine is big, it's oaky but it's also a bargain at the $20ish price point. Loaded up with smoky black fruit aromatics, and a velvety palate given it's oak influence The Groove 2010 is a bit of a kitchen sink blend, Syrah, Sangiovese, Cabernet Franc and Petit Verdot. It's sourced from some of Washington's finer vineyards and it's a nice wine to pair with some heartier fare to survive this stereotypical Northwest winter we're getting hit in the mouth with this weekend. 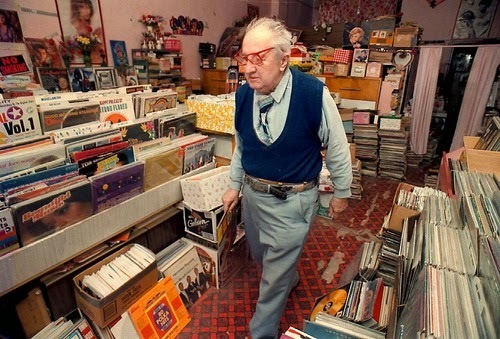 Posted in: Des Voigne Cellars,kexp radio,The Afghan Whigs are old,The Groove wine,The Pixies are old,we're all old,where do you find good music these days?